Bryan chose Renaissance Financial because he wanted to be part of a team that would help him succeed at helping others. Key to his effectiveness as an advisor is his ability to work with individuals, families and businesses, and listen carefully for ways he can add value. In guiding others, Bryan emphasizes personalized financial strategies that assist others in achieving their goals. Bryan’s competitive spirit has been a driver of his success in both academics and athletics, but the touchstone to his endeavors has always been teamwork. As a student athlete at Pasadena City College and the University of Nebraska at Kearney, Bryan excelled at football because of his ability to combine competition and cooperation. A native of Southern California, Bryan received his Associate of Arts in business administration from Pasadena City College and was on the Southern California Football Association’s All-Academic Team. 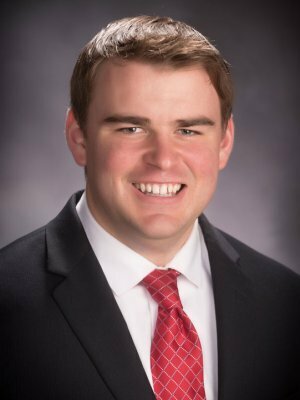 He then attended the University of Nebraska at Kearney, where he received his Bachelor of Science in business administration, with an emphasis in finance. There, he was on the Mid-America Intercollegiate Athletics Association Honor Roll and on the Dean’s List. Bryan holds his Series 7 and 66 registrations. Bryan currently calls Omaha, Nebraska home. He plays the guitar, loves to snowboard, and plays golf.